Is There An Effective New Option to Treat Head Lice? 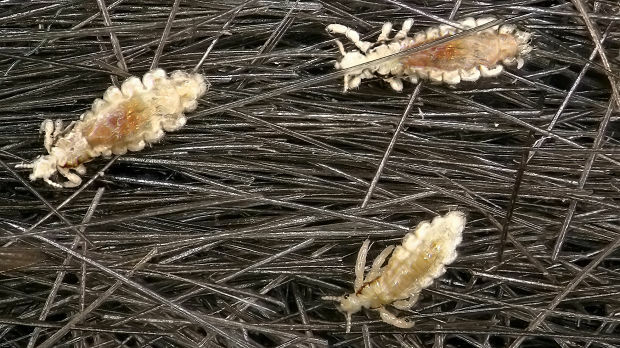 Head lice are mostly an irritant rather than a serious health issue, but infestations affect millions of people yearly, and lice are increasingly resistant to existing treatments. In the past, over-the-counter treatments contained insecticides (usually synergized pyrethrin or synthetic pyrethroid (permethrin)) that target the neurologic system of the adult louse. These compounds do not affect the eggs that are present, so even if it is effective, a second application is needed to kill lice that may hatch after the first go-round. Depending on when the second application is done, it can miss the part of the life-cycle where the treatment is most effective and the infestation continues. Newer treatments that are in the testing stages are targeting both lice and their eggs and focus on proteases, including metalloproteinases, which are critical to the development of adult lice and eggs. A recent study looked at phase 3 studies of treatment with lotion containing abametapir, a metalloproteinase inhibitor. The study reported on the efficacy and safety of a single 10-minute treatment of abametapir lotion. The results showed that abametapir lotion (at a concentration of 0.74%) effectively treated head louse infestation in subjects aged 6 months and older after just a single administration. The treatment had few adverse effects, and those that did arise were similar to what are seen with other topical lice treatments, mostly redness, rashes, and skin burning sensation. The authors conclude that metalloproteinase inhibitors, such as abametapir represent a novel treatment option for head lice.